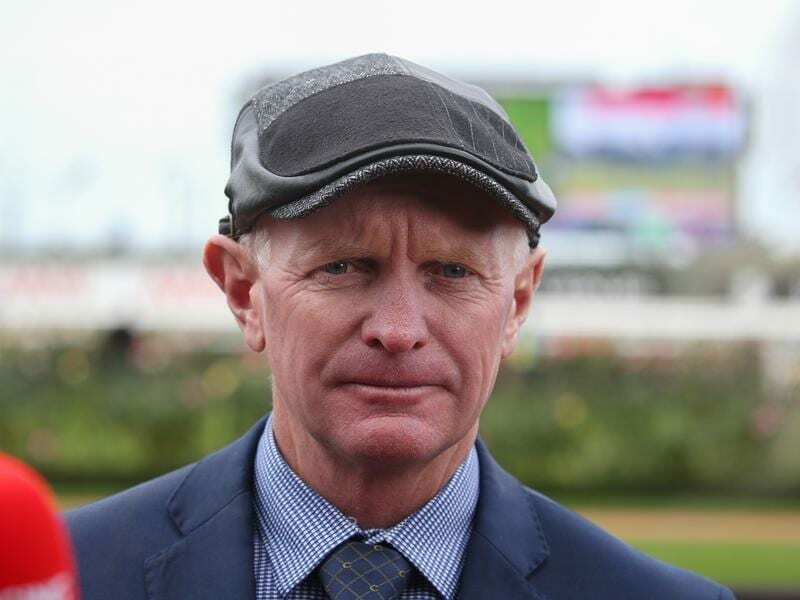 Adelaide trainer Phillip Stokes will saddle his first runners on his new home track at Pakenham. Phillip Stokes will break new ground when he sends out runners for the first time from his new training base at Pakenham. Stokes has three runners at Pakenham on Saturday having settled into his new home 10 days ago. The South Australian has seven horses in his new on-course stable and he hopes to build to 20 by January and eventually put the house full sign out on the 40-horse block. “We’ll just build it up slowly,” Stokes said. “We’ve got 30 in work all the time in Adelaide and we’ll gradually bring them over. “We’ll hopefully be up to 20 by January and then once I’ve got the staff and systems right we hope to have more. Stokes said his three runners, Symphonette in the John Duff Handicap, It’s A Myth in the Fulmen Park Handicap and Nodoubtaboutit in the Nasahi AAC Plate, all worked on the course proper on Tuesday. He said Pakenham also had a Polytrack to work on along with two sand tracks and another grass track would be open for training next month. Symphonette is aiming for three straight following wins in South Australia. “The question I have is she’s gone up 4-1/2 kilos since her last run,” Stokes said. “I should have probably brought her over here before the ratings got her up to that point but I’m very happy with her and she has Craig Williams on board. Stokes said It’s a Myth had the ability being Group Three placed, but was proving frustrating. “Last time she missed the kick and got back before running on well at Sandown,” Stokes said. He said like her stablemates, Nodoubtaboutit was a consistent performer with each-way claims.